My video editing systems wish list for the coming year. In the spirit of the holidays, today's blog is a 'wish list' of things I'd like to see in the coming year. Although a recovered economy and world peace would be great, this is the DV Fanatics blog, so we'll keep the list limited to video editing. Although a lot of these are for Avid Media Composer and Symphony editing systems, some of them apply to Apple Final Cut Pro and Adobe Premiere Pro as well. Sub-Sequence - A sub-sequence would allow you to use a sequence within a sequence. When you make changes to the sub-sequence, all sequences that use the sub-sequence will reflect that change. This is how sequences work in Final Cut Pro and Adobe Premiere Pro and can be very useful if every show has the same open. Global Titles - Again, if you edit the title in a bin, all sequences that use that title will reflect the changes. If you're using a lower third to identify a person every time they appear in a sequence, and you find out there is a typo in their name, having a global title would save a lot of time and headaches. 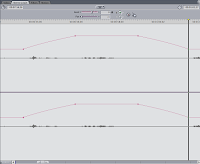 Sub-Frame Audio Editing - Audio changes happen outside of the frame boundaries, we should be able to make audio edits at the sample level, like in Apple Soundtrack Pro or Adobe Audition. (Thanks to Nick from The Avid Editors of Facebook). 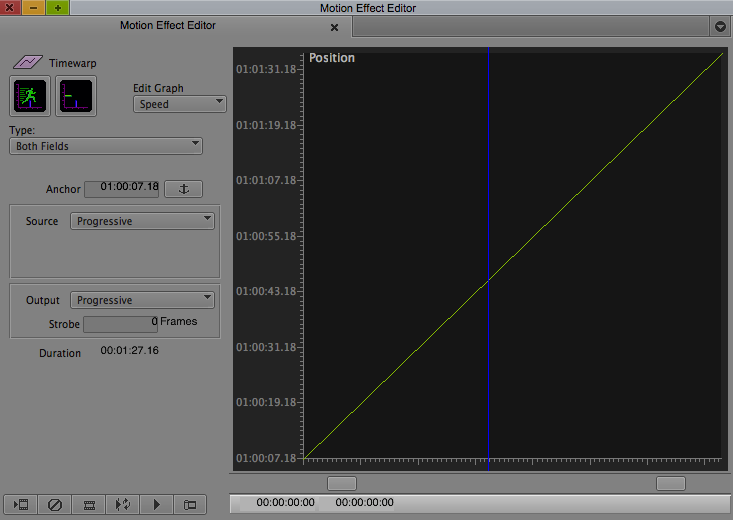 The Avid Motion Effect Editor. Motion Effects on Both Audio and Video - We should be able to apply a motion effect to both audio and video, more like the way Adobe After Effects does motion effects. I also wish the Avid Motion Effect Editor worked more like motion effects editing in Adobe After Effects, but's that's a discussion for another time. Final Cut Pro Audio Editor. Enhanced Audio Rubber-Banding - Let's keep the functionality that we have, such as clicking and dragging a point up and down, option-clicking and dragging a point horizontally and finally the ability to add an in and an out point to change the level of a group of points. It would be great if you could click on the line between two audio keyframes and raise or lower that section without having to add in and out points - more like rubber-banding in Final Cut Pro. While we're at it, how about giving us the ability to rubber-band the audio pan levels as well. Vector Graphics Import - I would love to be able to import vector graphics and maintain the vector information in the timeline. This would make the scaling of imported graphics much cleaner - no more blowing up the pixels and softening the image. Please chime in with anything I may have overlooked. 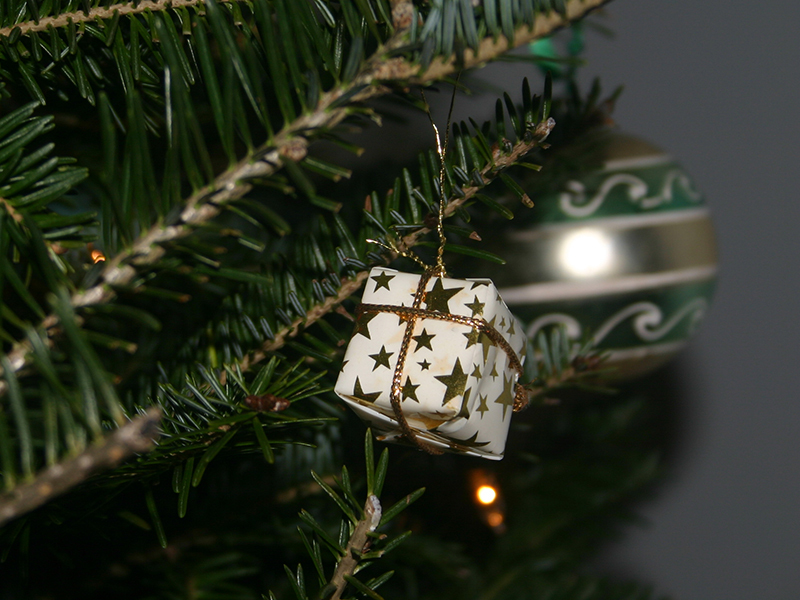 Here's hoping that all of you have a great holiday season and a happy new year. The waveform is size adjustable. 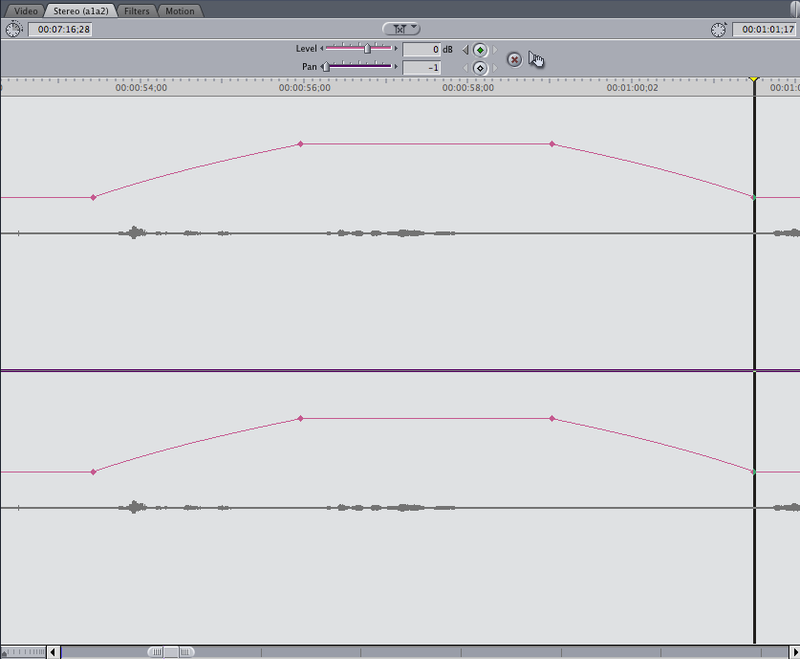 Command-option-K or command-option-L make the waveforms smaller and larger (control-alt on Windows). You can make any sequence go into the source monitor and edit in another master sequence just like a clip. Just drag and drop the sequence into the source and edit any part of it into your master sequence. Yes, but when you edit that sequence into another sequence, you are actually moving the series of cut clips - it is not a sub-sequence like in Premiere Pro or Final Cut Pro, where it is considered a single clip in the new sequence.